Kawasaki Racing Team WorldSBK and Jonathan Rea have made winning routine in WorldSBK. Since joining forces in 2015 they have won three titles and 49 races. Winning is a habit and with it comes the momentum, and the confidence to continue winning. This weekend at Portimao, Rea is chasing his half century with the Kawasaki Racing Team. The Northern Irishman is the most successful rider in history at the Portuguese circuit, and he'll be a short priced favourite again. ‘If you win races the championship will take care of itself’ is a common refrain in racing, but for Rea and the team around him the goal isn't winning races; it's about winning rounds. The team are only interested in finishing each round and extending their title lead. After being beaten at the opening round, Rea has been successful at every round this year in overcoming the initial deficit to Melandri, and then opening up a commanding 92 point lead with four rounds remaining. While on one side of the KRT pitbox Rea has been building momentum for four years, his teammate Tom Sykes has seen his confidence eroded by Rea's success. With each victory Rea has cemented himself more and more as the team's leader and as a result Sykes' position within the squad has become more and more unstable. Sykes, who has delivered Kawasaki a WorldSBK title and 34 victories, has seen his relationship with Kawasaki decline slightly. Whether it was the aftermath of an on track clash in Brno, off track comments at Laguna Seca or four years of frustration of being beaten, it's clear that Sykes needs a change of scenery. The Superpole record holder is still one of the fastest riders in the paddock, but his future is still uncertain. A good result in the Algarve - where he has claimed two wins and a further two podium - is not only desired it required. The Englishman needs to prove his worth once again and with four rounds remaining he needs to use the remaining eight races to start building his momentum for the winter and the 2019 season. In motorcycle racing you are either applying or receiving pressure. For four years Sykes has been on the receiving end of pressure from the most dominant force in WorldSBK history. Recovering from injury - which ruled him out of last month's official test - only puts another step in his way. 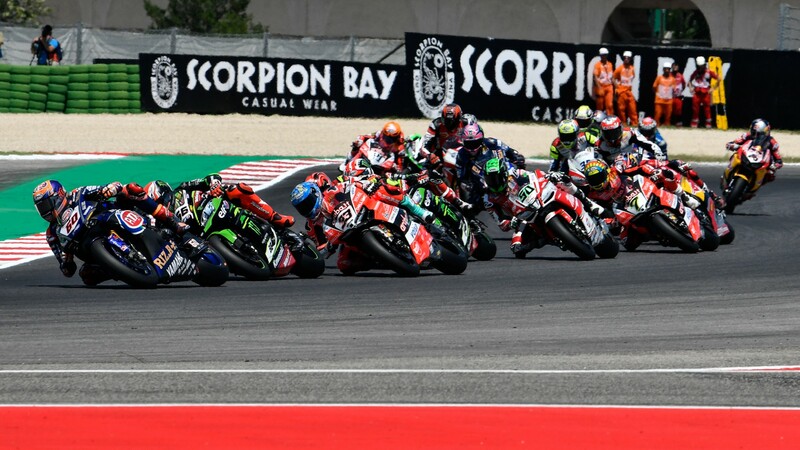 Follow all the weekend’s action and see how KRT get on in the Algarve, all with the WorldSBK VideoPass.